The characters in Our Lady of 121st Street could have stepped right out of a Nelson Algren story. With names like Rooftop, Flip and Pinky, you know these souls are truly “characters.” And in an Algrenesque way, they use gritty street language to express themselves, but struggle to say what they really mean. 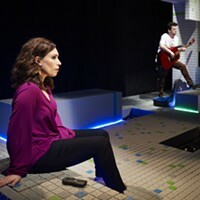 Which is the main conceit of this engaging 2003 play by Pulitzer Prize-winner Stephen Adly Guirgis, receiving its local premiere from the Conservatory Theatre Company of Point Park University. The Lady of the title is Catholic nun Sister Rose, whose deceased body has been stolen from her church’s viewing room just prior to the action. She also serves as the MacGuffin — in the Hitchcockian sense — that brings the characters together and launches their respective journeys of self-discovery. Lamont Walker II stands out as the vivacious Rooftop, and his confessional scenes with Father Lux (Zach Petrovich) are scintillating. Even Walker’s use of the simple prop of a wool cap is brilliant. 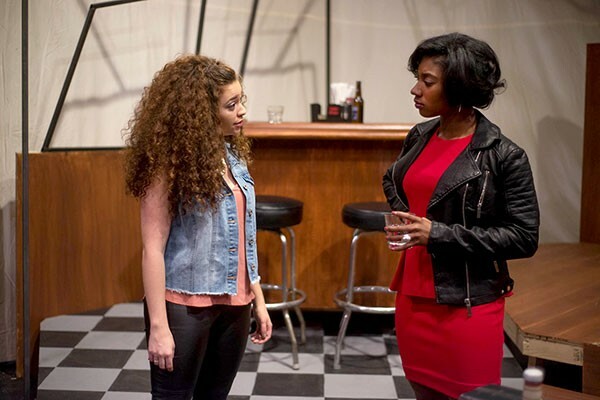 Te’Era R. Coleman owns the stage whenever she appears and gives a powerful performance as Inez, still jealous of the sassy and dangerous Norca (Angela D’Occhio), from her past. 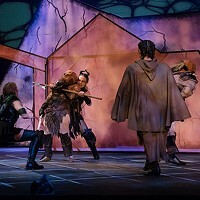 The first half of the play comprises seven fast, two-character scenes. 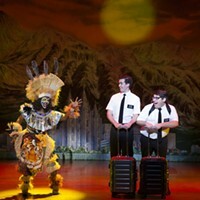 But the second half slows markedly — and uncomfortably, in places — with multi-character scenes that feel welded together by the playwright. However, director Steven Wilson keeps the energy flowing, sans intermissions, with only blackouts and lighting to indicate changes of time and place on Michael Thomas Essad’s multifarious set. Perris Drew, as the detective Balthazar, and Tal Kroser as the luckless Victor (whose pants were stolen, along with Sister Rose), begin and end the performance with portentous scenes, the former based on questions, the latter on confessions. Still, the play’s flaws are the exception in the dualistic world these characters create as they continue searching for the beloved Sister Rose in their pasts as well as their futures.